I recently discovered r/Pyongyang on Reddit and now I basically live there. It’s one of the greatest corners of the internet, thanks to its near-perfect melding of the echo chambers of social media and North Korean propaganda. Some of these are most certainly trolls posing as North Korean propaganda officials, but even if that’s the case, they nailed the cadence and tenor of their comments, so they’re virtually indistinguishable from the party line emanating from a ruling family who claimed that Kim Jong-Il was so powerful that he did not need to go to the bathroom. The words of an American imperialist capitalist pig can’t do this page the proper justice, so I will cede the rest of my time to the 20 best comments from North Korean Reddit. 1. This is in response to an article about sporting events at Kim Il Sung University. As always, the Korean People stay healthy both physically in the form of sports, and mentally in the form of rigid adherence to the wise policies of Juche and Songun. This is in stark contrast to the american slaves whose minds have been so poisoned by the phony, distinctly american idea of “freedom” – He does not need to move because he can do whatever he wants, he does not need to worry about the evil deeds of his government because in his mind, the USA can do whatever it desires. Of course, all of these misconceptions will come crashing down around him if his government is ever foolish enough to attack the DPRK again. 2. This commenter is named after the head of the elite Quds Force in the Iranian Revolutionary Guard. It is truly arousing to see the invigorating and luminescent ideals of Juche flow through the bodies of these patriotic youths, whose unyielding shoulders carry the the boldest dreams of our Invincible Nation into the scintillating dawn. The craven imperialist warmonger dogs are envious of the purity and noble hearts of our youths, while their own impotent progeny waste away with degeneracy. I weep with elation because the DPRK and Party will last one hundred thousand years. 3. I mean duh, who doesn’t know this? Everyone knows the dear leader loves his fruit. 4. I’m picturing this commenter as the lame cousin of the “extreme” bros from Harold and Kumar. Such amazing vacation effect. Maximum epicness! Long live our great leader. Just look at these beautiful fruits! The color, form and shape of the apples are great! I think the imperalists will be jealous. 6. This is in response to a story about paint. The American Media keeps the American People in the dark, they exist to serve as the propaganda wing of the Imperialist American Government. It is not the American People’s fault they’re being enslaved by the capitalist system and its corrupt government. They will rise up and embrace the Juche principles soon enough, and the Western Imperialists will inevitably fall. 7. Trolling North Korean Reddit must be so much fun. How could you not be aware of one of our great achievements?! The DPRK is the greatest country in the world and has always produced the finest of paints. Our schools are the finest and every young comrade knows this. You must be an imperialist pretending to be one of our glorious people. 8. This is an immaculate face??? Just when I thought Dear Leader couldn’t be more passionate he elevates himself to deity level glory. Everyday I wake up to a picture of our Dear Leader’s glossy hair and immaculate face and wonder if I have woken up in paradise. Soon our Great and compassionate leader will unleash a fiery cleansing on the imperialists dogs! Then and only then, will all people bask in the glorious light of the worker’s party! 9. This is actually a pretty good own. The only lie is the propaganda fed to you by the capitalist pig-dog American government. Supreme Leader Kim Jong-Un is generous and kind to his people. Perhaps you should return to your welfare office, capitalist puppet. 10. I can’t remember the last time I laughed this hard. How dare you blaspheme against our eternal leader. We know Kim Jong Il invented them in the same year as the cheeseburger and perpetual energy. 11. 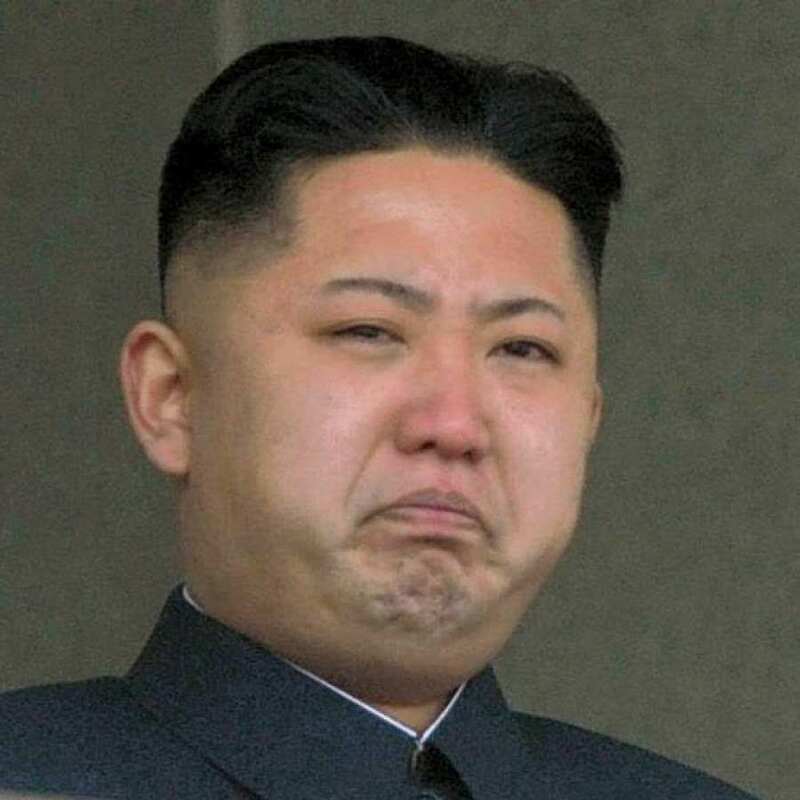 I never realized how big of a deal Kim Jong-Un’s hair was. I must know what product Eternal Leader uses in His hair. Looks very nice! I wish to have same handsome hair as Eternal Leader! 12. Fact check: mostly true. Cornstarch factory will make glorious people glorious cornstarch. 13. I’m not so sure about this 50 Shades of Grey sequel. 14. Kim Jong-Un breakdancing may be what finally breaks the internet. 15. Pretty accurate to be honest. There can be peace if America stops acting like the world police and reverts back to an isolationist policy like it did pre WW2. They said they would not go to war to protect British colonialism but they ended up taking over the British role and implementing shadow colonialism worldwide. 16. Some of the truths embedded in this propaganda really sting. The whole world desires for Korea to become one, but the imperialist meddlers cling to a failed strategy of harsh rhetoric, scandalous libel, and wildly irresponsible military sabre-rattling. All while their own society lies in shambles, their citizens homeless on the street and their economy is in the toilet because capitalism is not meant to sustain a country, only to line the pockets of its opportunist elites. 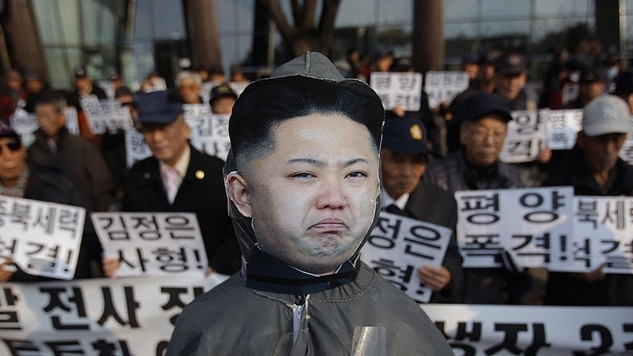 The imperialists are enraged by the tempered and peaceful nature of the Korean People. Where others would have (justifiably) reacted militarily to these clear acts of war by the imperialists, we, the Korean People, will not be goaded into an unwise response to the imperialists’ political buffoonery. As such, any response by the Korean People will always be an unrelenting push for peace, diplomacy, reconciliation and ultimately, the reunification of Korea. One Mind One Korea Down with Imperialism! 17. OK this isn’t fun anymore. Sits isolated in a cubicle, working for giant corporations who steal their money, the money of their government, cares not for anyone but their fat cat bosses, and their bottom line. He is a cog in a machine, and he will never see any benefit to society stemming from his work on abstract numbers. His existence is day to day, his job always in jeopardy as his evil capitalist masters are always looking for ways to maximize profits and so pit the slaves against one another, pushing them to unreasonble levels of work, lest they be fired. Works on goods for the children, the future of our nation. He will see the fruits of his labor himself as he sends his children to school with the very products he himself manufactures. Such is the blessing of Juche. His work is important to such a degree that the Great Marshall Kim Jong-Un himself comes to visit him and aid and guide him in the process. He helps build his Nation and is paid adequately and generously both monetarily and mentally. What I want to know is this: I get that being ‘reckless’ means ‘to act without caution or thought of consequence’ but if I do act with caution etc, does that mean I am being ‘reck’? 19. Today I learned that a standard North Korean insult sounds like a rejected Nickelodeon show. Scary is the propaganda on this website disseminated by the American pigdog Capitalists. 20. Substitute “DPRK” with “Trump” and “west” with “liberals” and this feels like home. Once again DPRK tells the truth the west refuses to hear.